LONDON, 2nd October, 2018 – For the year ending 30 June 2018, PwC firms around the world earned total gross revenues of US$41.3 billion, topping US$40 billion for the first time. In local currency revenues grew by 7% and in US dollars by 10%. “This impressive growth is due to our focus on the marketplace and the hard work, professionalism and dedication of our 250,000 people who continue to develop and innovate to meet the changing needs of our stakeholders around the world,” said Bob Moritz, PwC’s Global Chairman. “In addition, everything we do is guided by our focus on quality and our purpose to build trust in society and solve important problems. “Technology is redefining PwC and the quality and relevance of the services we provide, just as it is reshaping the world of business. Across our network we are fully focused on implementing the best technology ideas for our stakeholders. By 2019 we will have invested over US$1 billion enabling our business in the Cloud, helping maximise the quality and impact of our services and solutions. “We are proud of the work we do for our stakeholders, our role as one of the world’s major recruiters and trainers of finance professionals as well as the contribution we make to the societies in which we operate. To hear more from Bob Moritz watch him in conversation with journalist Maggie Murray. Click here. We believe business has a key role to play in solving societal challenges alongside other stakeholders. One of the ways in which PwC is doing this is through collaborating with the T20 (a network of Think Tanks that provides policy recommendations to the G20) and Global Solutions, a multi-stakeholder initiative. Together we are highlighting the need to bring economies, business and society back into greater alignment. We are also helping facilitate a Young Global Changers programme, which brings together 120 future leaders from around 80 countries to develop mutual respect and understanding. Our community investments are an important part of our work. By sharing PwC's greatest asset – the skills, knowledge and talent of our people – we focus on education, building the capacity of NGOs and supporting social and micro enterprises around the world. In FY18, we set an ambitious new global target: to invest in the future and growth of 15 million people, NGOs and social and micro enterprises to help them maximise their potential by 2022. This year, more than 60,500 PwC people contributed over 850,000 hours – 619,920 of which were spent sharing their professional skills. As a result of this contribution, we reached 3.2 million people, NGOs and social and micro enterprises – a solid step towards our new 15 million goal. Our most significant environmental impact is the carbon emissions from powering our offices and air travel. This year, we are announcing a new global commitment. While driving efficiency to reduce our absolute carbon impact, we commit to offsetting air travel emissions from FY19 and to sourcing 100% renewables for our electricity consumption and offsetting residual energy use by FY22. While our priority is reducing our absolute carbon impact, offsetting is an important part of our strategy to mitigate the impact of our unavoidable emissions. For the 12 months ending 30 June 2018, PwC’s revenues were US$41.3 billion - up 7% - while investing and repositioning our portfolio. Revenues were up across all PwC’s operations, boosted by continued significant investments in quality, new technologies, services and talent. “Demand for our services continues to grow across all regions and industries, which is testament to the quality of our work, and the investment we have made in anticipating the changing needs of our stakeholders with the introduction of new and enhanced services. “We continue to make strategic acquisitions in key areas of growth, especially blockchain and data analytics and to invest in new technologies including artificial intelligence and robotics, as we work to increase the effectiveness of our core services such as audit,” said Carol Sawdye, PwC’s Global Chief Operating Officer. “In a rapidly changing world, there are increasing uncertainties that we and our stakeholders have to deal with - unpredictable political situations, uncertain trade environments and changing regulatory landscapes. Working to anticipate and mitigate risks, be they environmental, regulatory or cyber, is a growing part of PwC’s assurance operations and a service that many of our stakeholders are demanding in increasing numbers. “Providing assurance has been core to our operations for over 150 years. It is the bedrock that we have built our brand and reputation on and we are proud of the service that we provide to our stakeholders and the capital markets,” said James Chalmers, PwC’s Global Assurance Leader. The quality of our work is at the heart of our operations across the globe and we invest very significant and increasing resources in its continuous enhancement across all of our businesses. We are also investing heavily in new technology to drive continuous improvement in the capabilities and effectiveness of our audits, along with all our other businesses. In our assurance business, in the last year alone our state of the art information testing technology Halo was used to examine more than 105 billion lines of data. In the year ahead our award winning GL.ai artificial intelligence tool, designed to identify anomalies in organisations’ financial records, will be available for the PwC network. To demonstrate our commitment to quality and transparency we are, for the second time, publishing a detailed description of PwC’s quality processes and showing the results of our internal quality reviews (www.pwc.com/annualreview). We continue to invest record amounts in improving audit quality. At a time of increasing stakeholder expectations, in 2017 we raised the bar for how we define a fully compliant audit. We are pleased that our efforts are bearing fruit: audits rated as non-compliant in internal and external reviews have decreased in the most recent data, but we remain committed to additional investment and actions needed to further improve quality. The main effect of our reviews is to give us the best data on our audit performance enabling us to continually learn and improve. To date we are the only large audit network to disclose the results of its internal audit quality inspections. Revenues from our global Legal Services business continue to grow as our reach and capabilities in this area expand. We now have over 3,500 lawyers serving clients in over 90 countries. In the last few weeks we have also announced an alliance with leading immigration lawyers, which will augment the breadth and depth of our capabilities. 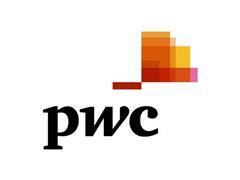 With over 50,000 professionals - who are enabled with the latest technologies - PwC has the largest tax and legal network in the world, focused on advising our clients in line with our Global Tax Code of Conduct and contributing to the dialogues about much needed change to tax systems locally and globally. In FY18, our global headcount grew 6% to more than 250,000 people. We saw the largest headcount increases in Asia (14%) and Central and Eastern Europe (10%). Globally, 64,776 people joined PwC firms around the world – including 27,016 graduates and 32,924 experienced professionals. In FY18, nearly half of all the people who joined PwC were female. PwC firms admitted a record total of 739 partners across the world. Thirty percent of our firms’ new partners in FY18 were female. Female representation in the PwC member firm partnerships has gradually increased from 13% in 2006 to 20% in 2018. “We know that when our people are at their happiest they are at their most productive, most engaged and most creative. To attract and retain the brightest, most diverse minds, we are building a culture of continuous development and changing how we develop our people’s skills and leadership capabilities. “By embracing and investing in technology, we’re helping to raise our people’s digital acumen to prepare them, and PwC, for the future,” says PwC Global Human Capital Leader, Agnès Hussherr. “We are rethinking development to give our people more access to learning technologies, and matching their curiosity with continuous opportunities to grow. We’re encouraging more flexible ways of working, we’re focusing more on well-being and engaging more diverse minds. About PwC: At PwC, our purpose is to build trust in society and solve important problems. We’re a network of firms in 158 countries with over 250,000 people who are committed to delivering quality in assurance, advisory and tax services. Find out more and tell us what matters to you by visiting us at www.pwc.com. All revenue growth percentages quoted in the press release (unless otherwise stated) are in local currency (or constant exchange rates). Growth rates in both US dollars (% change) and local currency (% change at constant ex. rates) are given in the table below. FY18 revenues are the aggregated revenues of all PwC firms and are expressed in US dollars at average FY18 exchange rates. FY17 aggregated revenues are shown at average FY17 exchange rates. Gross revenues are inclusive of expenses billed to clients. Fiscal year ends 30 June.